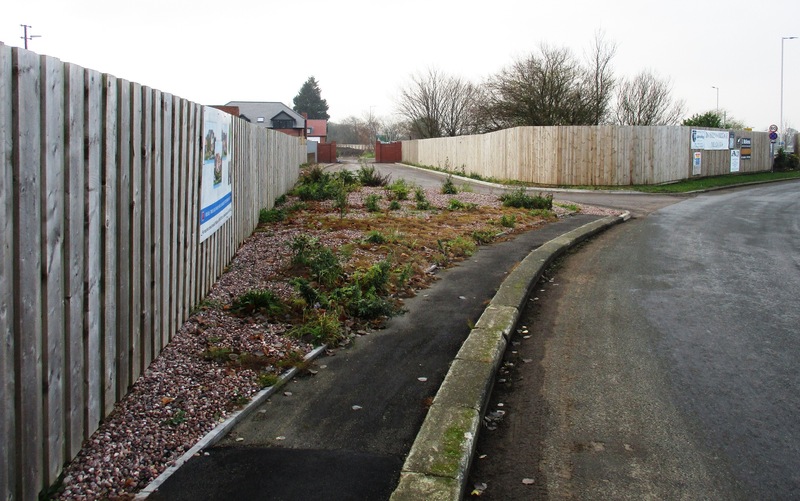 Switch Island – Lots of public money spent BUT will it be any safer? 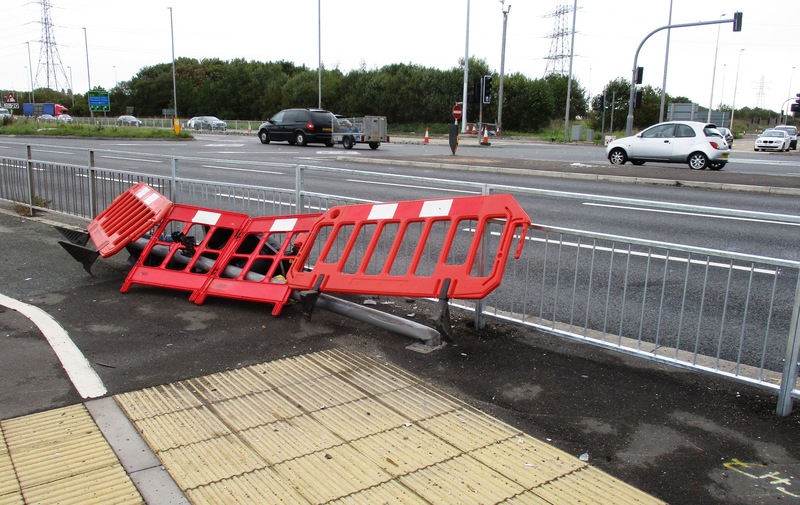 Anyone who tries to negotiate the hugely complex Switch Island will have seen that the recent upgrade/safety works by Highways England have all but been completed. The big question now is will it be any safer? I’ve commented on this matter many times before as both a driver and indeed as a cyclist as I have witnessed driver behaviour. One issue that comes quickly to mind is that towards the end of the M57 the speed has recently been reduced to 50mph and then even nearer to Switch Island to 40mph. That these new speed restrictions are almost completely ignored, you will not be surprised to hear, is pretty much all of the time. Indeed, the other day I reached the 50mph section, I slowed to 50 mph and had a horn blown at me because I had slowed down a fellow driver! My point being why are there not speed cameras on the approaches to Switch Island like at the end of the M62 as you near the Rocket in Liverpool? Robins Bridge Meadows – Is it just me? First a bit of personal history; we had our wedding reception at Aughton Chase in 1982. If memory serves it then closed down in the late 1980s/early 1990s with the building subsequently burning down and becoming derelict. The site was in West Lancs Green Belt and it took many years for it to be released from that for development. In the past 3 years or so houses, very big houses, have slowly been built across the site with big price tags on them. 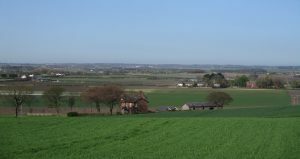 The site, I might add, is all within Aughton and therefore West Lancashire but it abuts the Lydiate/Sefton Borough boundary. Do you see what I mean? 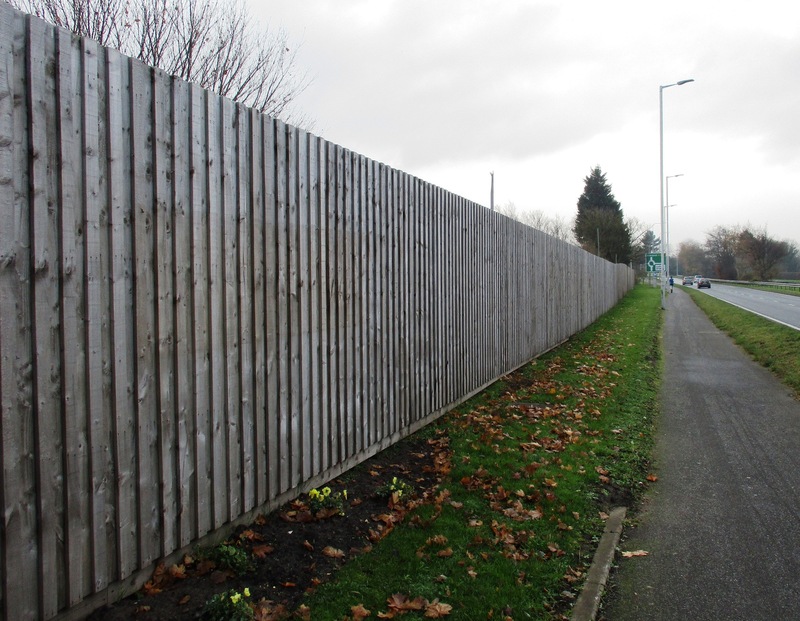 The high wooden fencing around the site is hardly appealing, is it? The other day whilst on a cycle ride I stopped at the top of Clieves Hill to catch my breath and fell into conversation with a West Lancs Council street cleansing chap who was emptying the bins and picking up litter. 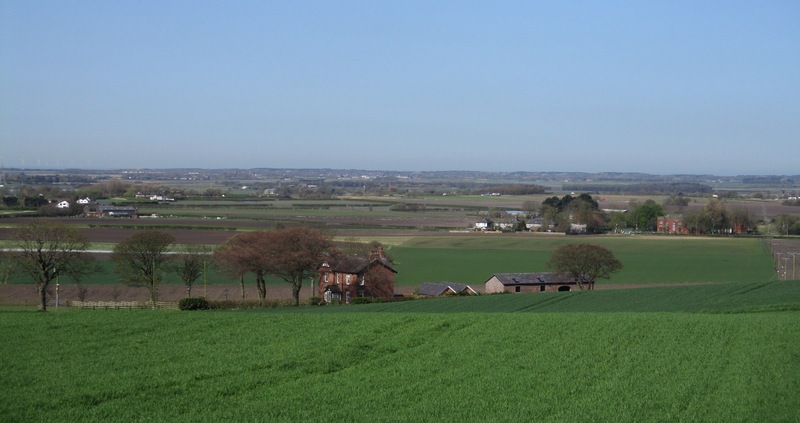 View from Clieves Hill towards the Sefton Coast. The first thing to say is that he was doing a great job but as I had seen the extent of the littering up there previously I asked him how often the area was litter picked and the bins emptied. Expecting to hear him say something like weekly I was surprised when he said virtually every day! He went on to tell me about the littering and the behaviour of a minority of folk who drive up Clieves Hill for the view. Sadly, he recounted that chucking food waste and packaging out of car doors was a regular thing despite there being a couple of bins to use. He also indicated that people in flashy expensive cars were often the worst behaved. But what really struck me was when he said that these anti-social people even do it when he’s there and that he has to challenge them to get out of the car to pick their rubbish up. But if that was not enough he then went on to tell me that when he is litter picking the nearby A59 the odd driver will blow their horn to gain his attention and then a window comes down and rubbish is chucked out for him to clear up! I can’t tell you how a felt for that poor chap doing his bit to keep our countryside tidy and litter free whilst others deliberately do just the opposite. As a cyclist, I find this article interesting and to the point. 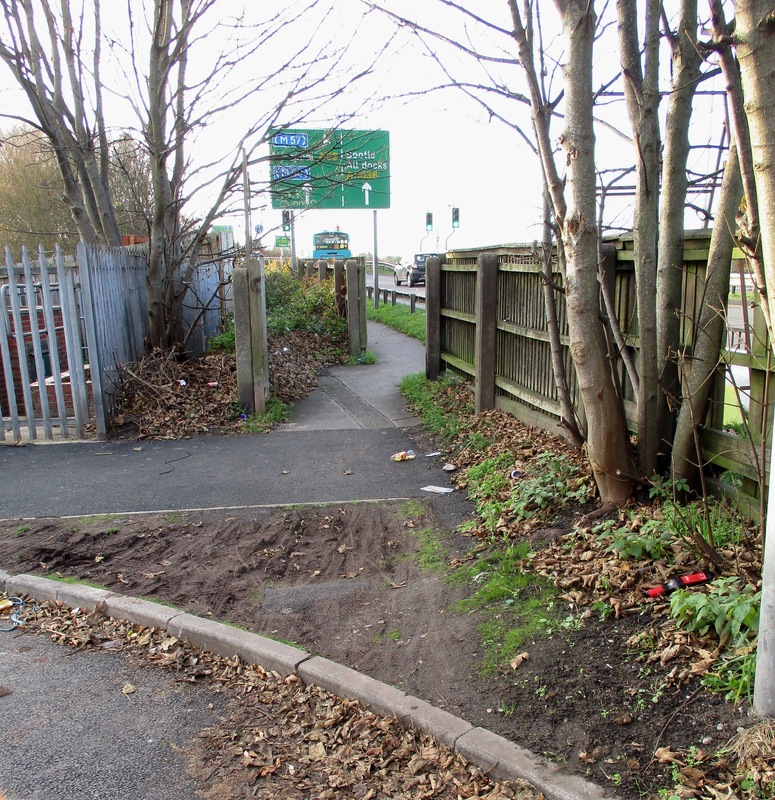 I’ve commented before along the similar lines by highlighting local cycle route inadequacies which I have encountered. 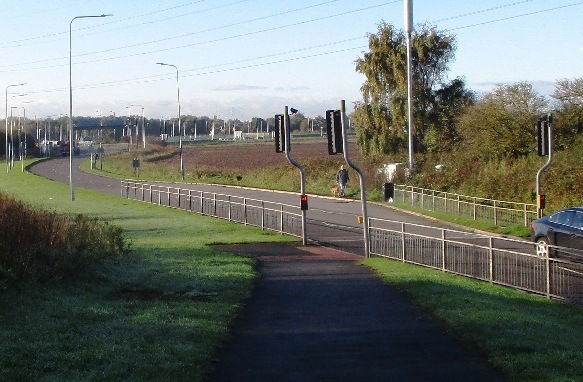 Often segregated cycle routes do not have logical ends and are in effect bits and pieces between destinations. 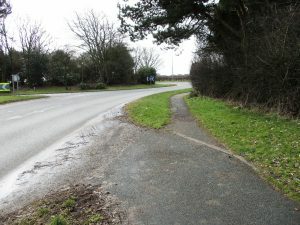 The route from Switch Island to Ormskirk along the busy A59 is an example. From Switch Island to the Maghull boundary there’s a brand new cycle path but it stops well short of Liverpool Road South. 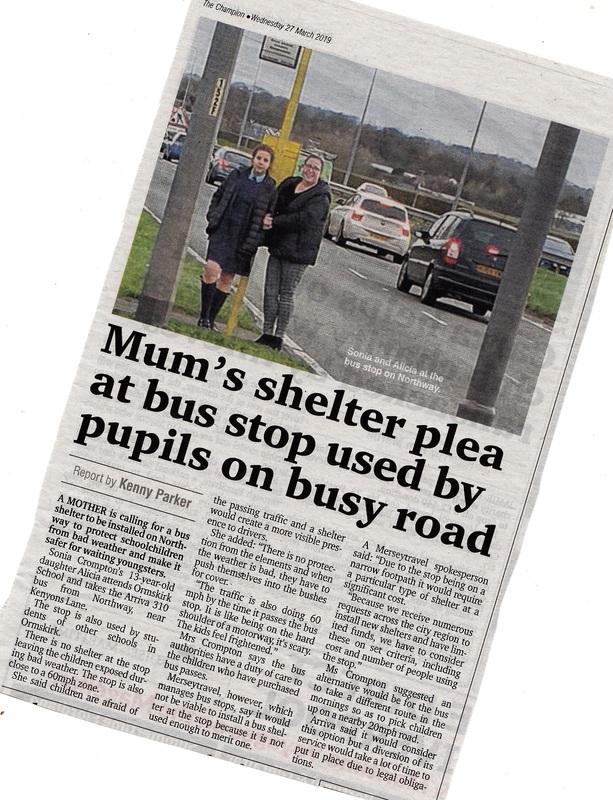 Yes, I know that Sefton Council intends to address this but really it should have been done in tandem with Highways England doing the first stretch. But then moving north through Maghull & Lydiate a safe cycle route has yet to be sorted out. It’s either the busy dual carriageway or pavement for cyclists. 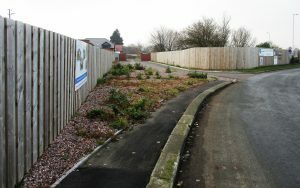 A59 Cycle path becomes narrow pavement at Robins Island. Then at Robins Island, a cycle path appears again, on both sides of the A59. 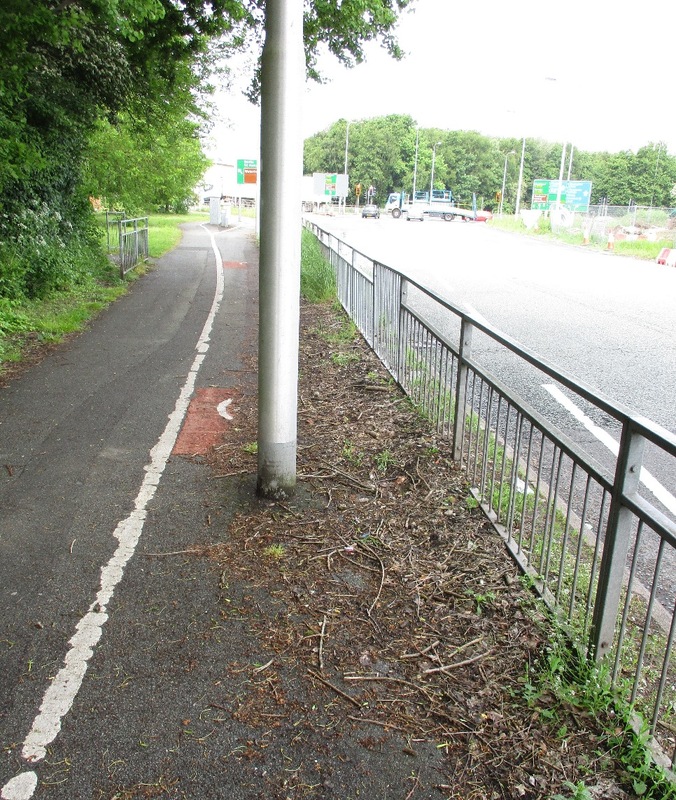 Generally, it is in good condition but parts of it are not – patches of grass, poorly completed surface repairs & tree roots make the later stages of these cycle lanes poor. But then as you climb into Aughton the cycle route peters out altogether just like through Maghull & Lydiate. This makes the last mile or so into Ormskirk a cycling challenge. This was the state of the Cheshire Lines Path through Great Altcar Civil Parish in the winter of 2017 – it’s not got any better. 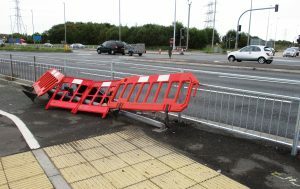 I could illustrate other problem routes where cycling facilities in Sefton and West Lancashire are inadequate but will settle for just one. 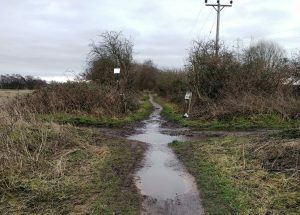 The Cheshire Lines Path/Trans Pennine Trail. This former railway track is in very poor condition through West Lancs because since it was created there has not been the regular maintenance that is clearly required. Some of the route is now really only suitable for mountain bikes and a once wide path where cyclists could pass each other is presently very narrow in places. There is much to do to make our cycling routes safe, logical and well maintained.